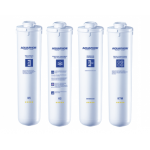 The 10 inch GAC range of filter cartridges are a traditional favourite. 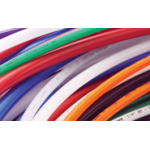 The design with flow from bottom to top ensures long contact time, for maximum absorption and treatment. 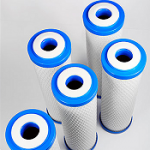 Using a clean, acid washed bituminous carbon with a large mesh size, this granular range is primarily a chlorine, taste and odour reduction cartridge with the advantage of a coarse 20 micron filter pad to retain carbon fines that are not susceptible to blockage if high particulates are present. 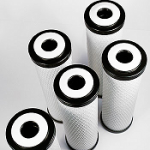 Carbon in a form of granular activated carbon has the most flexible properties. 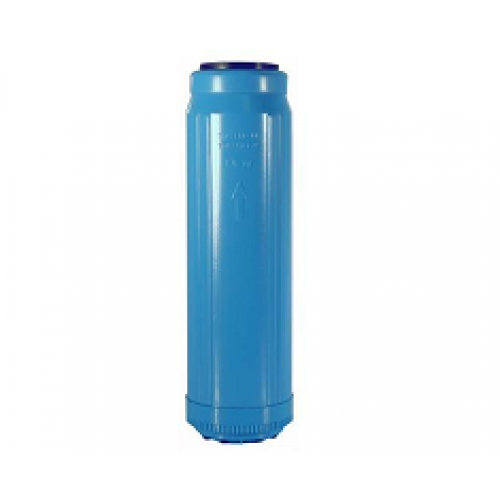 Convenient in numerous cartridge formats and extremely economic when loaded directly into pressure vessels. For water treatment GAC combines well with othe medias such as phosphate, resins and sediment traps for specific contaminant targeting. 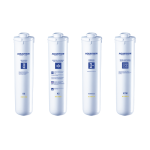 GAC cartridges are available in a variety of sizes and flow rates and effectively provide good general purpose drinking water filtration. Reduces chlorine taste and odour and bad taste and odour. Make selection from drop down arrow below. Please note BB filters are for Big Blue Filter housings. 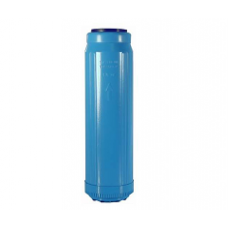 Cartridge is supplied in either blue or black dependant upon our suppliers stock, they are identical cartridges.